I was unbelievably excited to visit Sicily and it certainly has not disappointed. Throw in a Belmond Hotel, my best friend arriving and some seriously delicious gelato and I am in absolute heaven! 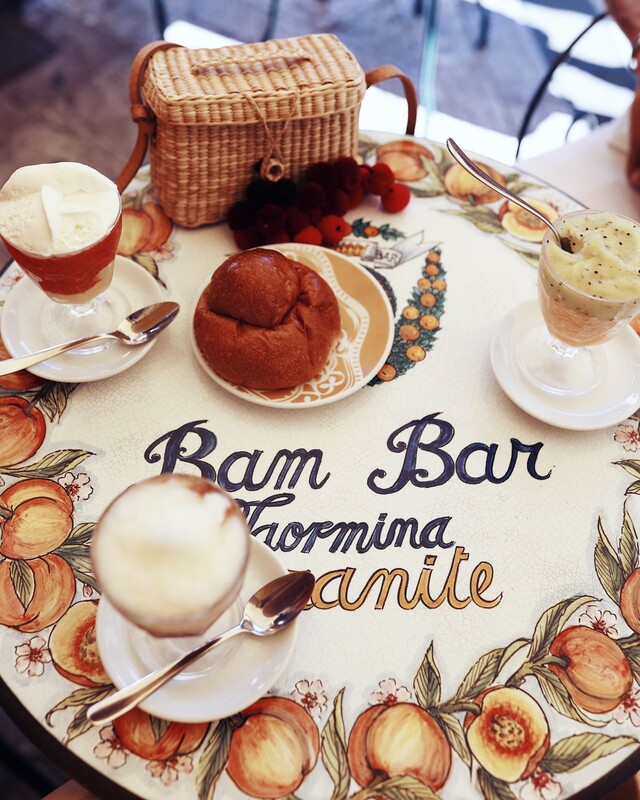 Staying a the Grand Hotel Timeo was nothing short of fabulous but my absolute favorite moment of our trip to Taormina was eating the most delicious gelato I have ever had at the infamous Bam Bar gelato cafe. We sampled quite a few flavors, including pistachio, raspberry, nutella, lemon, chocolate, kiwi, strawberry, peach, melon and almond.. ok maybe more than a few, but its impossible not to want to try them all! 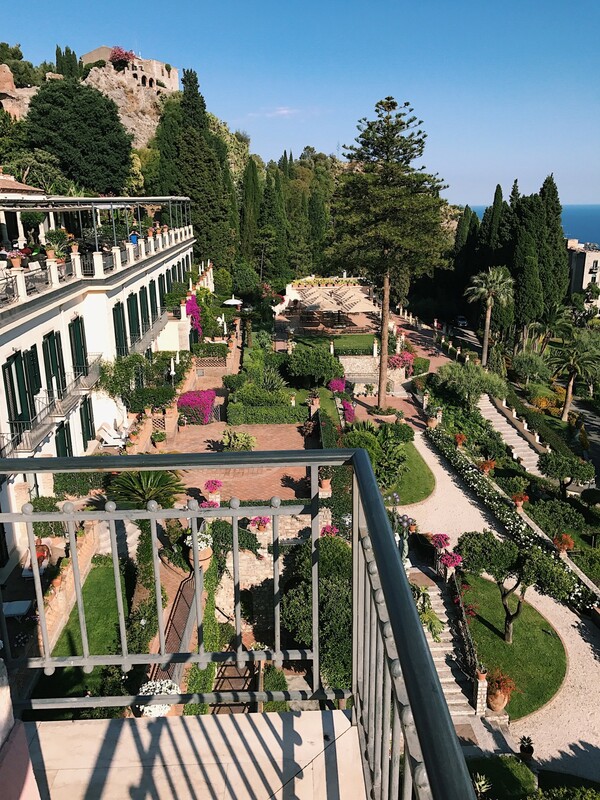 The main feature that sets the town of Taormina apart from the rest is that it overlooks the largest active volcano in Europe, Mount Etna. Its quite spectacular to see the volcano smoking whilst you eat your penne pasta at your dinner table. 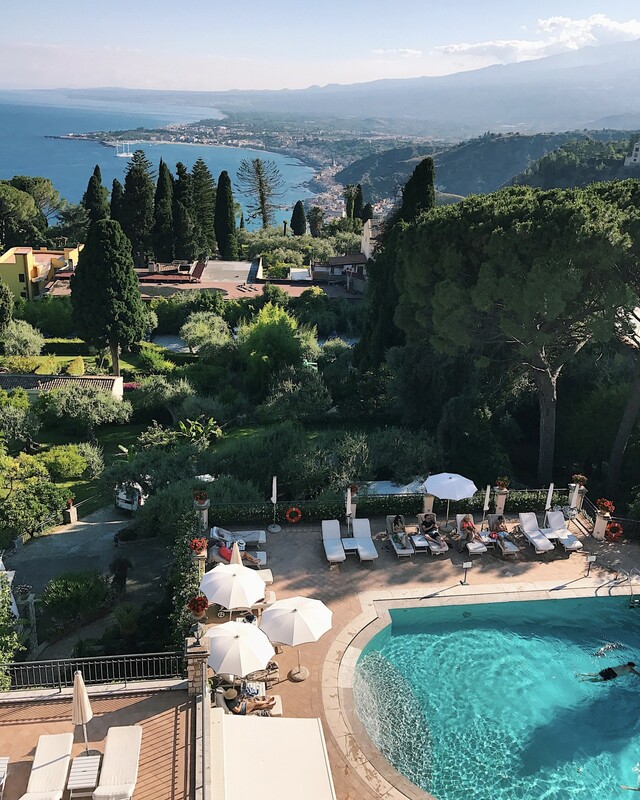 I would definitely recommend making a stop through Taormina if you plan to visit Sicily, it is definitely worth visiting for a day or two… or three if you like gelato as much as me. P.S. 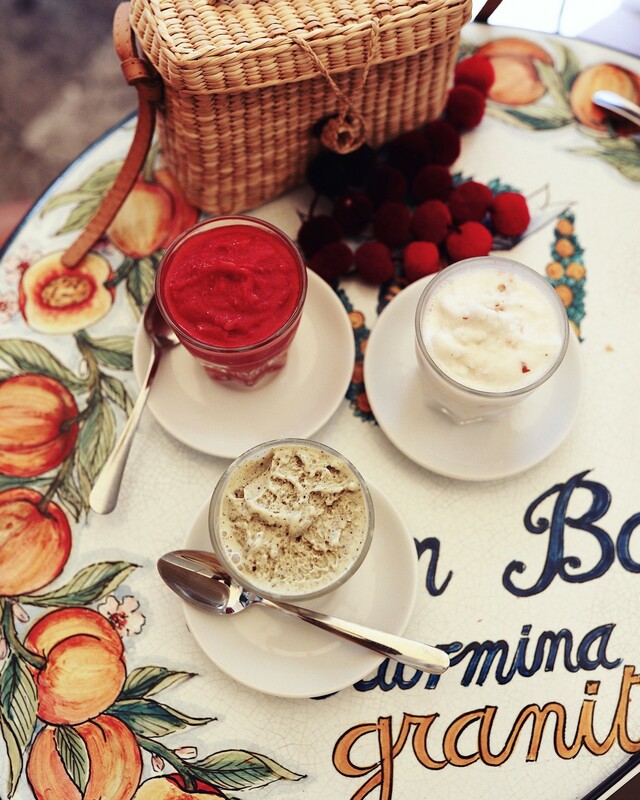 A great place to eat dinner is a local traditional style restaurant called Tiramisu. Hello Natasha! I fall in LOVE with Italy over and over again through your pictures! I’m going to Taormina in a week. Did you eat at any good restaurants? We are definitely going to Bambar! OMG obsessing over these photos! Stunning! I wanna go too now! Love your yellow outfit and that white dress. The perfect wardrobe for an Italian trip! In love with the photos! !